Have you heard the quote "Imitation is the sincerest form of flattery"? I'm sure people only say that to make you feel better when you discover someone is copying something that you have slaved over and invented. Nothing can help that sinking feeling you get when you discover that someone is using one of your testimonials from a function that you worked your socks off for, and passing it off as their own. Yes, the dreaded plagiarism. Whether you want to call it copying or imitation, it is still literary theft of your intellectual property and possibly fraud too. In this issue, we will be looking at plagiarism on the internet, the effects of it, how to detect it and what you can do about it. 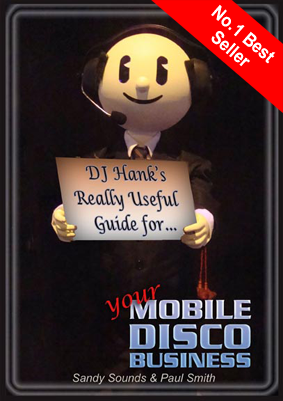 The latest in the series of "The Trials & Tribulations of a Mobile DJ" - a light hearted look at the mobile DJ in the 21st century is now released. "I'd rather be caught holding up a bank than stealing so much as a two-word phrase from another writer. ~ Jack Smith"